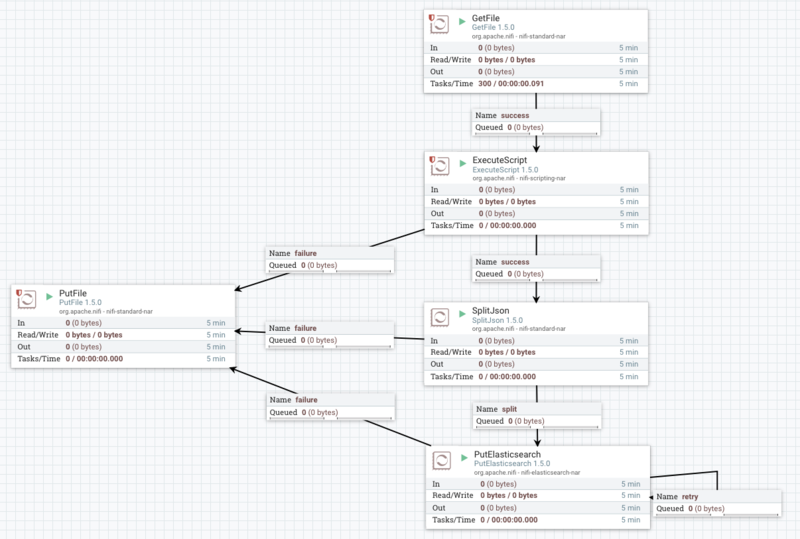 In this post I’ll share a Nifi workflow that takes in CSV files, converts them to JSON, and stores them in different Elasticsearch indexes based on the file schema. I created a JRuby ExecuteScript processor to use the header row of the CSV file as the JSON schema, and the filename to determine which index/type to use for each Elasticsearch document. For this post I used homebrew on OSX, but you could use Docker, install from source, etc.